Well, I kept St. Anthony busy this week. I just kept losing things! In addition to my keys, which I lose all the time, and my driver’s license, I lost my ring, the one I received at my final vows. I searched high and low, through pockets, bags, garbage cans. I tore apart my office and searched the shower. Then, two days later, I pulled clothes out of my laundry hamper, and – thunk. There it was on the floor. A sense of relief washed over me. Thank God! A miracle! If your parish uses the Year C readings this Sunday, you’ll hear the story of the lost son, often referred to as the “prodigal” son. In the Gospel of Luke, this reading follows stories about other lost things – first a sheep and then a coin. If you’re like me, you’ve heard this story a thousand times. The younger son behaves badly. Not only does he demand his inheritance while his father is alive and well, but he spends it all livin la vida loca, returning home only because he’s hungry. It ends with the sulky older brother complaining. Because he’s been “good” all his life, he thinks he should be rewarded. But this father clearly doesn’t care about following the rules. He just wants to be in relationship with his sons. He is extravagant, even wasteful, in how he loves them. Full disclosure: I’m usually the whiny older brother when I read this story, but I have it in me to be the bratty younger one, too. I take God for granted. I ignore God’s call to prayer. I can blame God when things go wrong, even though it’s likely my own darn fault. It’s easy to identify with either or both of these ungrateful boys. However, after this week of losing things, I’m feeling this story from the father’s perspective. It was an immense relief to find my ring! And that’s just an object. It’s even more of a delight to reconnect with a friend who seemed lost to me through a disagreement or misunderstanding. All broken relationships can’t be reconciled – sometimes there’s too much hurt or betrayal or toxicity. However, when reconciliation is possible, when two people who love each other can restore a relationship, it feels like a miracle! It probably is a miracle. Given how convoluted human relationships are, and what a mess I can be, it’s hard to believe this. However, knowing how good it feels to find something, or someone, that was lost gives me a glimpse of what that might be like for God. Like the father in the parable, God is indulgent in loving us. I fail a thousand times, get lost, stray. God just waits patiently until I can be spotted in the distance. God embraces me and welcomes me back. God just wants to love me. God just wants to love you, too. I think again of those words we heard on Ash Wednesday. 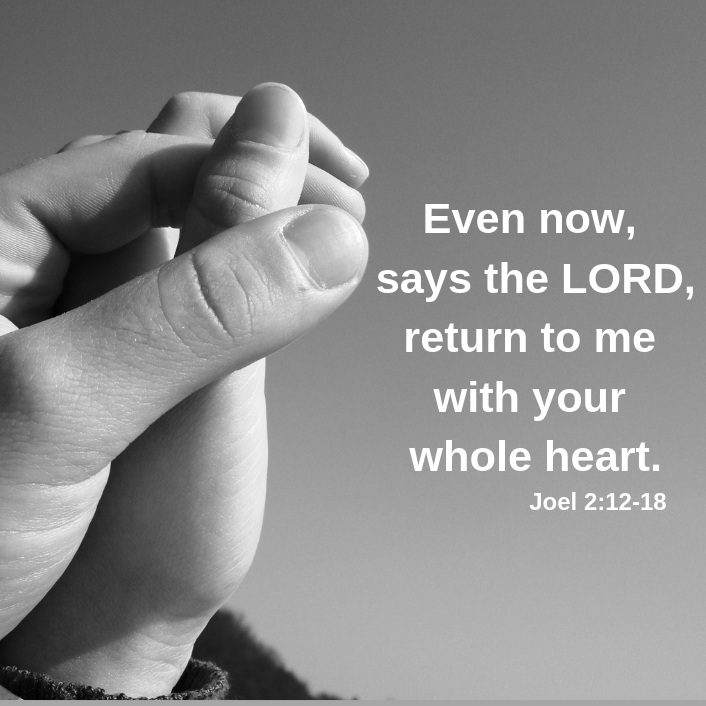 “Even now, says the Lord, return to me with your whole heart.” God doesn’t care where we’ve been or why we got lost, except to heal us and move us toward wholeness. God just wants you back. God wants me back. So, let’s return. Even now. With our whole hearts. Have you ever found something you’ve lost? What was that like? What is it like to reconcile with a loved one? What is it like to reconcile with God? What keeps you from returning to God with your whole heart? How have you experienced the indulgent love of God?